Lynn Denton’s The Grappler: Memoirs of a Masked Madman is the Forrest Gump of wrestling books. The man may not have been known on the world stage, but he was around during one of the biggest eras in wrestling interacting with some of the biggest names in the industry. Although he worked with household names like The Ultimate Warrior, Andre the Giant, Jake the Snake Roberts and Goldberg, he didn’t achieve super-stardom in the big leagues (World Wrestling Federation or World Championship Wrestling). 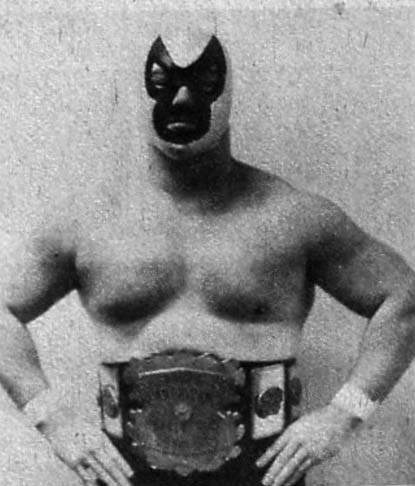 His true success came within regional territories like Mid-South Wrestling, World Class Championship Wrestling (WCCW) and Don Owen’s Portland territory. You get the sense that Denton’s a very humble man who shows no signs of ego, he’s appreciative for all the opportunities he’s had and offers candid opinions on those he worked with. The book has a very conversational tone, almost like Denton is telling you his life story over a beer. The book is filled with great stories about working for Stu Hart up in Calgary (a great Owen Hart story as well), performing in front of forty thousand plus fans in the New Orleans Superdome and his time as booker in Portland, Oregon (wrestlers can be a temperamental lot). There’s a lot crammed into these nearly three hundred pages and not once did I feel it really dragged. Coming from someone who considers himself a big fan of the industry, I’d never heard of The Grappler before picking up this book and I’m glad I took the time to sit down and read his story. While it doesn’t have the built in audience Bret Hart, Mick Foley or Chris Jericho would have with their books, it deserves a look from any wrestling fan who is interested in a career spent outside the grip of Vince McMahon. September 4, 2014 in Joe Vithayathil, Lynn Denton, Memoir, Pro Wrestling.